Near-continuous budget crises belie the fact that Albertans are fantastically wealthy. The reason is our collective ownership over the resources buried beneath the province, with the key resource these days being bitumen. How, when, and if this critical resource is extracted and sold has massive financial, social, and environmental implications for Alberta and beyond. However, control over these decisions has effectively been ceded by the provincial government. It is left to the mostly foreign-owned oil corporations to decide how development of the tar sands occurs. 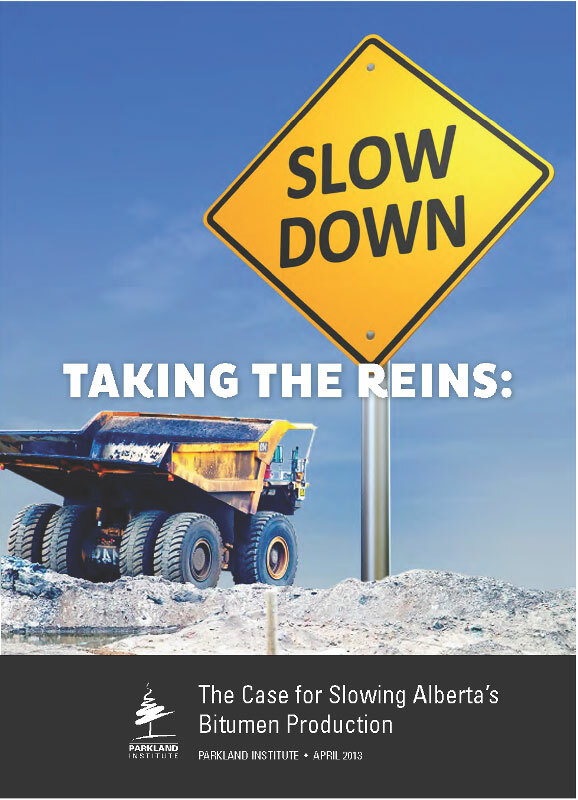 The predictable frenzy that has ensued to remove and export bitumen as fast as possible is spurred by massive government subsidies in the form of rock-bottom royalties, as well as other factors. Albertans would be right to question whether spending billions on inducing another tar sands boom is a prudent development strategy. In the wake of the 2005-2008 bitumen rush, Albertans became all too familiar with the costs and upheaval caused by a tar sands boom: extraordinarily high inflation that eroded purchasing power and impeded necessary public investments, long working hours and little vacation time, over-stressed public infrastructure and services, rampant homelessness, widespread staff shortages, a declining manufacturing sector, and a compromised education system. Rapid tar sands development becomes even less appealing when the environmental repercussions are considered. These include rising CO2 emissions that compromise serious action on climate change, indications of alarming levels of local air and water pollution, massive water consumption that is set to increase amid concerns of future water shortages, toxic “tailings ponds” that may be irremediable, and severely degraded ecosystems that pose a significant financial liability to the province. From a public interest perspective, the Alberta provincial government’s blinkered promotion of ramped up tar sands activity is unfortunate. The bitumen reserves in Northern Alberta are so rare, large, and risk-free that the government has the ability to dictate the terms – how, when, if – of development. Yet the public is repeatedly told that maintaining their quality of life is dependent on ensuring ever-more rapid growth in the tar sands, whatever the costs. As this report outlines, nothing could be farther from the truth. Indeed, as many experts and a majority of Albertans recognize, a high quality of life for all Albertans is best pursued by slowing down development of the tar sands. The report concludes by identifying several mechanisms that can be used to achieve a slowdown.